Garlic & Cilantro Corn Fiesta Seasoning - 1 ½ tbsp. Extra Virgin Olive Oil - 2 tbsp. Whisk the lime juice, oil, Garlic & Cilantro Corn Fiesta Seasoning and salt to blend. 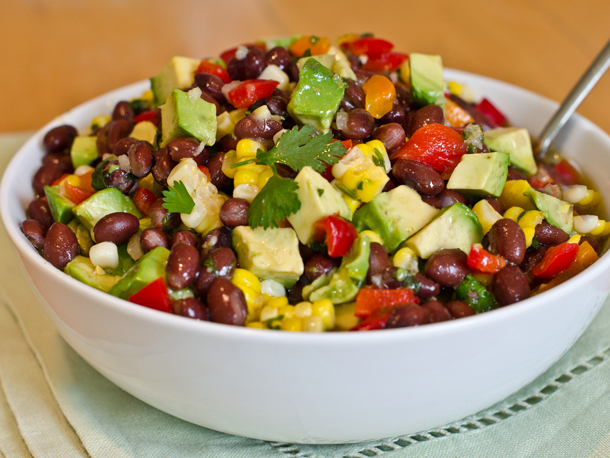 Combine the beans, corn, tomatoes, avocado, scallions, cilantro leaves and jalapeno in a large bowl. Add the dressing to the bean mixture and toss. Spread the lettuce on a deep platter or on 4 individual salad plates and spoon the bean salad into the center. Garnish with more cilantro sprigs and serve.